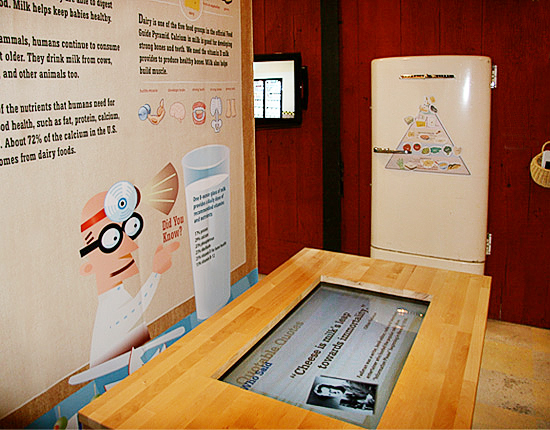 FROM THE FARM TO YOUR TABLE is the visitor experience at York's Agricultural and Industrial Museum. Sponsored by Rutter's Dairy, this small rustic basement space was transformed into a playful farm complete with an interactive milking cow. Visitors follow the colorful path that fresh milk from the cow takes as it makes its way to our tables. Vitamins, bacteria, probiotics, oh my!